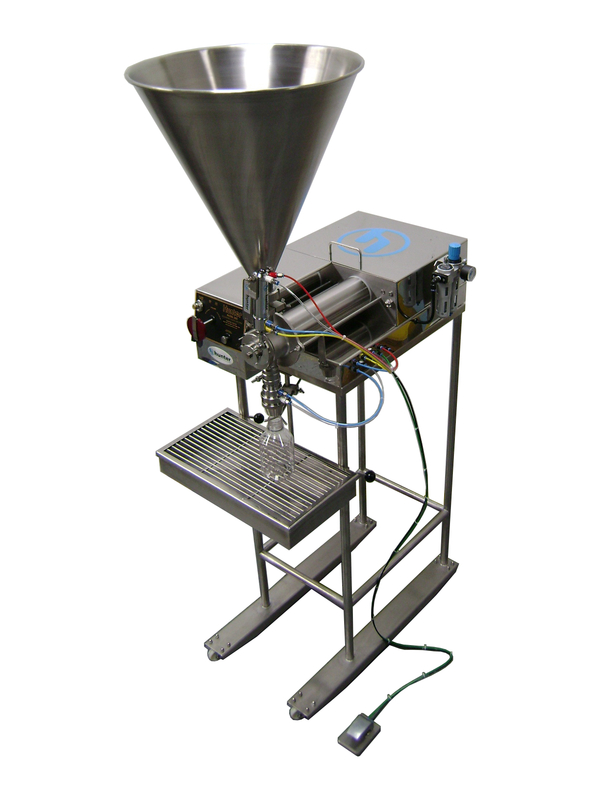 The Series 300 machines are versatile single or multiple head pneumatically operated volumetric (piston type) fillers for accurate dispensing of liquid and semi-liquid products. Fills of 5ml to 2.5 litres per shot can be achieved using a range of precision-bored heavy wall metering cylinders - an optional multiple stroke mechanism is available for larger fills. Available as a single nozzle (Model 305) or in multiple nozzle versions (Model 325, 335, 345). Volume range of 5ml to 2500ml, with 5 metering cylinder options. Product supply to the filler via 27 or 50 litre conical hoppers or suction hose. 3 types of product valve available - standard rotary, large rotary and check valve. A wide range of non-drip shut off nozzles are available with different outlets. 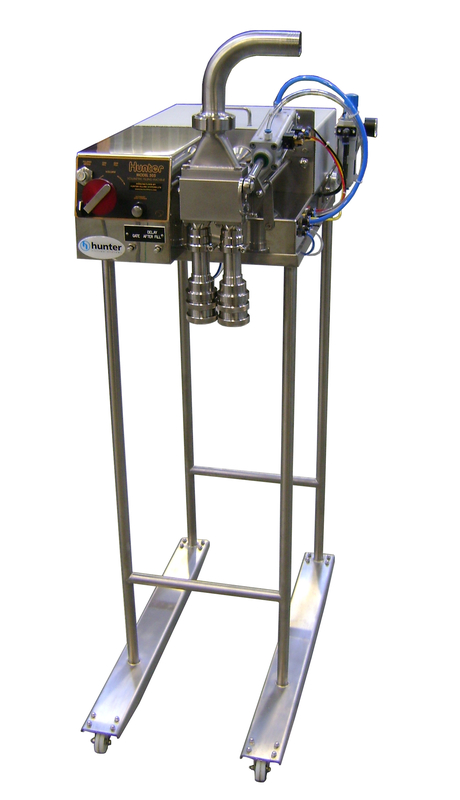 Optional sub surface filling mechanism and nozzle for filling foaming products. Can be set up as manual or fully automatic with container indexing. A range of portable stands, low level, standard and heavy duty with adjustable height.